Ellis Medicine is pleased to sponsor this one-year residency in general dentistry, which serves as both a productive training program and a valuable community resource. 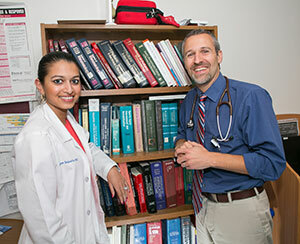 The collective experience of its graduates has resulted in the programs widely acknowledged reputation for clinical and educational excellence. The Dental Residency program is located at the Ellis Health Center in Schenectady, NY, formerly St. Clare's Hospital. The program has been successfully educating future generations of dentists since 1975. At the core of the Dental Residency program is the hospital's Dental Health Center, an outpatient office practice serving a large underserved population in the Schenectady community. In this setting, resident dentists maintain a full schedule of patient care services under the supervision of a dedicated attending staff. 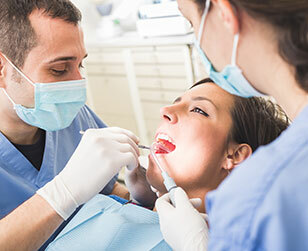 The disciplines covered in this program include general dentistry, pediatric dentistry, periodontics, endodontics, orthodontics and oral surgery, as well as a dental implant program. In addition, residents are assigned to dental and oral surgery cases in the hospitals operating room affording them the opportunity to become familiar with admission, treatment and discharge protocols associated with hospitalized dental patients. All residents receive extensive department-based training in patient assessment and diagnosis, comprehensive, multidisciplinary oral health care, medical risk assessment, pain and anxiety management, emergency treatment, inpatient care, applied pharmacology, medical record management, hospital organization and function, preventive dentistry, restorative dentistry, endodontics, periodontics, orthodontics, pedodontics, prosthodontics (fixed and removable) and oral and maxillofacial surgery. Close working relationships in both the Cleft Palate Center and the Sleep Disorders Center at Ellis Health Center afford the dental residents first-hand exposure to these special clinical arenas. Additional training rotations through the departments of anesthesia, family practice medicine, pathology, physical therapy, medical imaging and emergency medicine further enhance the residents multidisciplinary experiences in the areas of physical evaluation, patient assessment and modalities of treatment as they relate to a variety of diseases. Applicants for the general practice Dental Residency must have, or expect to have, a doctorate in dentistry from an accredited U.S. or Canadian dental school in order to be eligible for a New York State limited permit to practice dentistry. 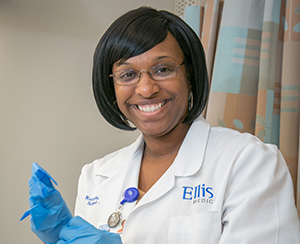 Ellis Hospital participates in the PASS and Postdoctoral Dental Matching Programs. Download the Ellis Medicine Dental Residency Program application here and follow the instructions for completing and submitting the form.